Anyone can help me confirm which editions of Satan´s Host -Metal From hell are official? will be greatly appreciated. 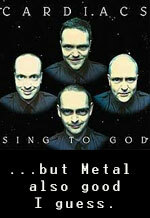 MEXDefenderOfSteel wrote: Anyone can help me confirm which editions of Satan´s Host -Metal From hell are official? will be greatly appreciated. Nope. That's a CD compilation of various old demos.